Ahhh just finished with some cleaning! No, I didn’t. I just finished some ice cream hehe! Anyway, this new scent in town is not just cute & fun, it’s very interesting! 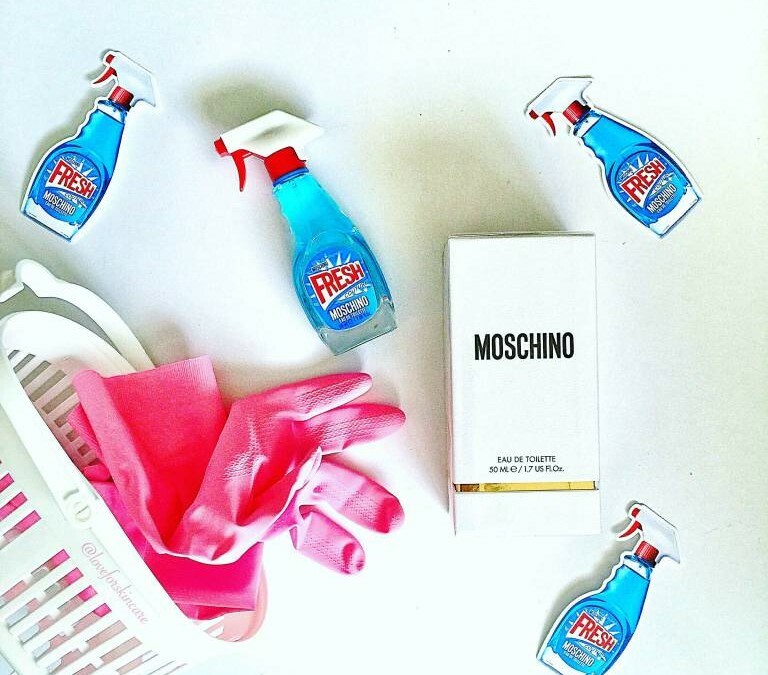 5 things I told myself when I first received this from Moschino Singapore & 37Comms. 1. It doesn’t smell like mirror/window cleaner. I was extremely curious what the scent is about. It truly is fresh! Floral, citrusy and slightly woody. Pretty lasting. 2. It’s not that huge a bottle as I first thought. This 50ml is a palm-sized bottle. 3. It’s a pretend spray gun, the detergent-blue juice doesn’t get dispensed through the spray. You got to lift the cap up. 4. It’s not as light as it seems, it’s glass bottle not plastic. But light and worthy enough to go into the bag to cheer up (maybe scare) your colleagues and friends. Yes, everyone I showed this to, laughed. Definitely an ice-breaker. 5. Where can one leave this to ensure it’s not mistaken as a mirror cleaner? I’d be happy to leave it on my work desk, such a happy piece. Just don’t use it to clean my table. Moschino Fresh Couture is available now at Sephora Singapore.